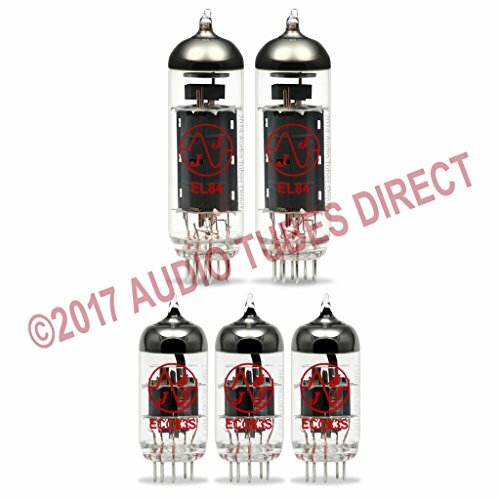 Audio Tubes Direct is an Authorized Tung-Sol, Electro-Harmonix, Genalex, Mullard, Sovtek, Svetlana & JJ Electronic Dealer. Imported from Slovakia, these brand new tubes have been fully tested on the industry's most reliable, voltage controlled testing equipment and exceed all manufacturer's specifications. They are guaranteed from the manufacturer to be new and free from any defects in materials or craftsmanship and are backed by our 30 Day Warranty. For sets that include a balanced preamp tube, the balanced tube will be marked with a yellow "balanced triodes" sticker. 10% restocking fee may apply.